Dr. Paul Enenche, upon God’s divine instruction, named the ministry Dunamis International Gospel Centre. On May 28, 1996, in the small town of Jos, Nigeria, a young doctor was at a crossroads of his life. He could relocate to London to be with his beautiful wife, also a doctor; he could visit a prestigious university abroad to step up his medical qualification; or, if he wanted to stay in Nigeria, he had two attractive medical appointments open. At the end of three days of little water and no food, he came down from the mountain with a clear vision of exactly what he was to do with his life. 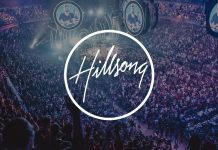 He had been asked to put aside his medical certificate, go to the city of Abuja, the capitol of Nigeria, and start a gospel outreach that would be characterized by a heavy presence of God to heal, save, and deliver people and restore human destiny and dignity. 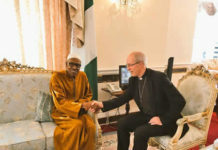 When he got home, his young wife, Dr. Mrs. Becky Enenche, who has been very supportive to his ministry, had been fasting and praying for her husband while nursing their infant child. The Spirit of God told her exactly what He had told her husband, thus confirming the call. This is the basis for the convention that the church organizes each May. The Annual Destiny Recovery Convention has always been characterized by God’s presence and ability to set people free and help them through the many crossroads of life. In November of 1996, six months after the call, Pastor Dr. Paul Enenche and his wife, Pastor Dr. (Mrs.) Becky Enenche, left every plan they had made for their lives and moved to Abuja. Like Abraham, they knew no one there, but obeying the Lord was paramount to them. 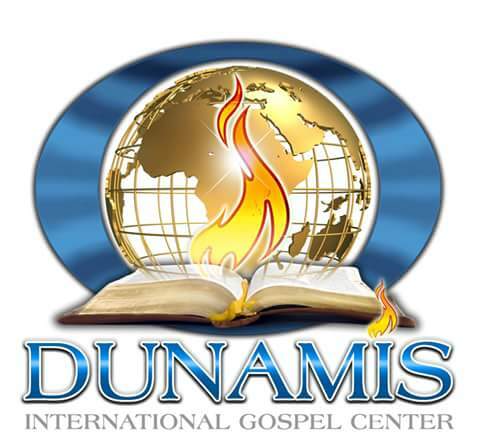 Dunamis International Gospel Centre was established on November 10, 1996. The first Sunday service was held at Abuja Centre for Arts and Culture, First Floor, Area 10. 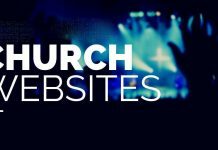 Church service was held there for two weeks before the church moved to Abuja Sheraton Hotel & Towers, where worship took place for about 6 months. The church moved to her present site in June of 1997, less than a year after the ministry had started. 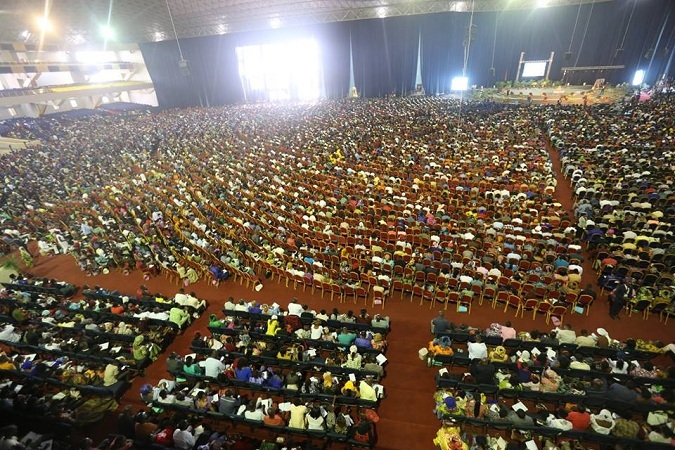 In November 2018, the church completed her 100,000 capacity building (The Glory Dome), making her the owner of the largest building with roof in the world. 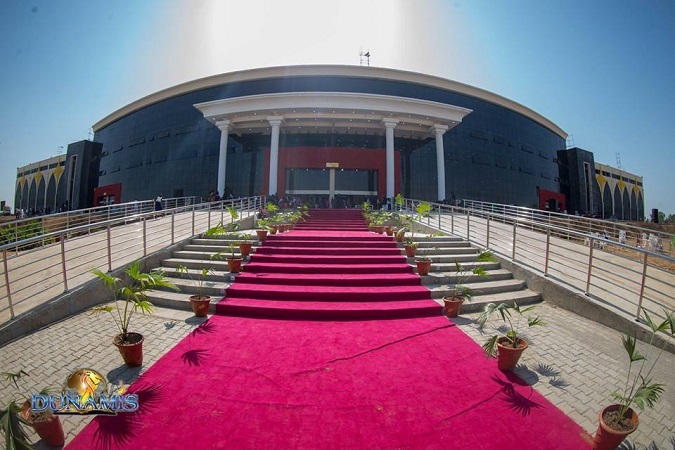 The Glory Dome which is located at their permanent site, The Lord’s Garden, Airport Road, Abuja, was dedicated on Saturday, November 24, 2018. 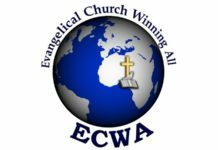 The Church also holds an annual conference, Power and Glory World Conference, every last week of November to celebrate the Commission’s anniversary. 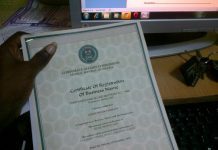 Dunamis International Gospel Centre was founded on the 10th of November 1996. 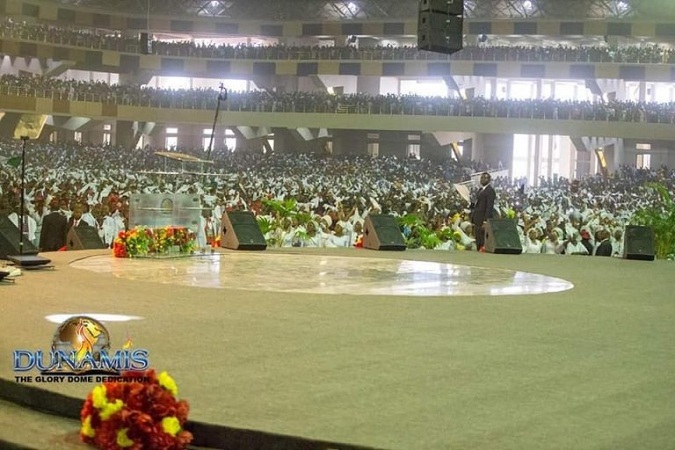 And so the Kingdom Power and Glory World Conference, which takes place every November, is an annual anniversary conference where the Dunamis family, sons of the ministry and many others gather annually.